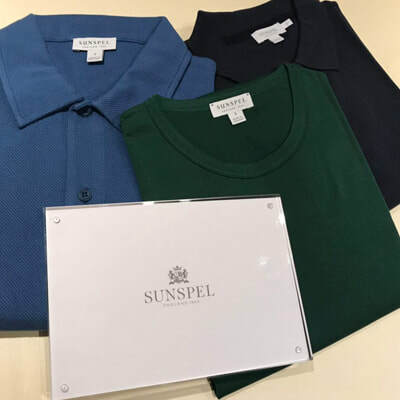 For over 150 years, Sunspel has been sourcing the finest raw materials from around the world and innovating to develop luxury fabrics that are entirely unique. Their extensive archives are a rich and constant source of inspiration and have been the starting point for the most recent innovations: Piqué , Loopback and Cellulock. 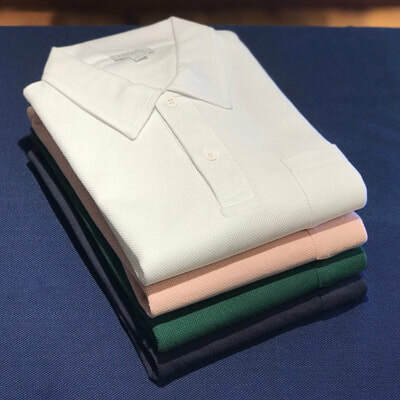 We have got Riviera, Piqué and Terry Cloth polo shirts, and the finest cotton t-shirts in many different colours and sizes in our store. ​Just pop in to try them! 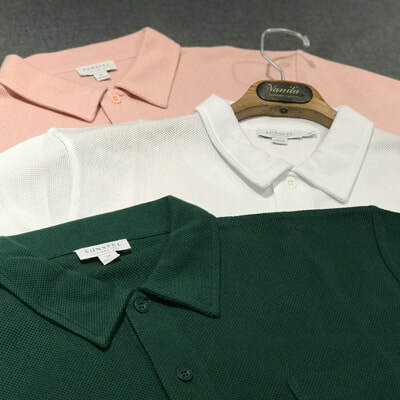 Originally designed in the 1950s for the heat of the French Riviera, the Riviera Polo Shirt is light and breathable due to its unique fabric structure. Re-tailored in 2006 for Daniel Craig as James Bond in Casino Royale, it is now a modern classic and one of our favorites. 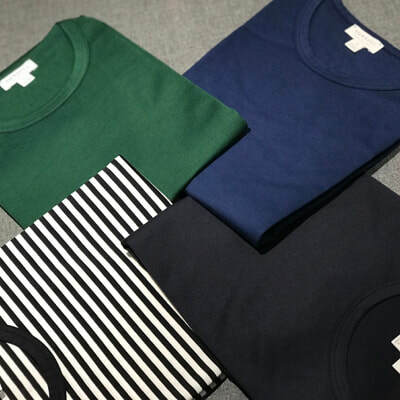 ​Sunspel's piqué fabric is knitted from the finest Pima cotton for durability and softness. Every detail of this polo has been perfected, from the rib collar and cuffs to the side vent and branded shell buttons. An elegant piqué polo shirt. ​Organic cotton towelling makes this polo breathable against the skin. With a ribbed collar and open neck with hidden under-collar button, this is an easy choice for poolside dressing.